With all the talk about the new Muppet movie, "Muppets Most Wanted," my thoughts immediately turned to my favorite in the cast: Kermit. I grew up with Sesame Street, and hearing the song Rainbow Connection will still make me a little misty. Even though he claims it's not easy being green, I think my favorite frog makes it look pretty good. 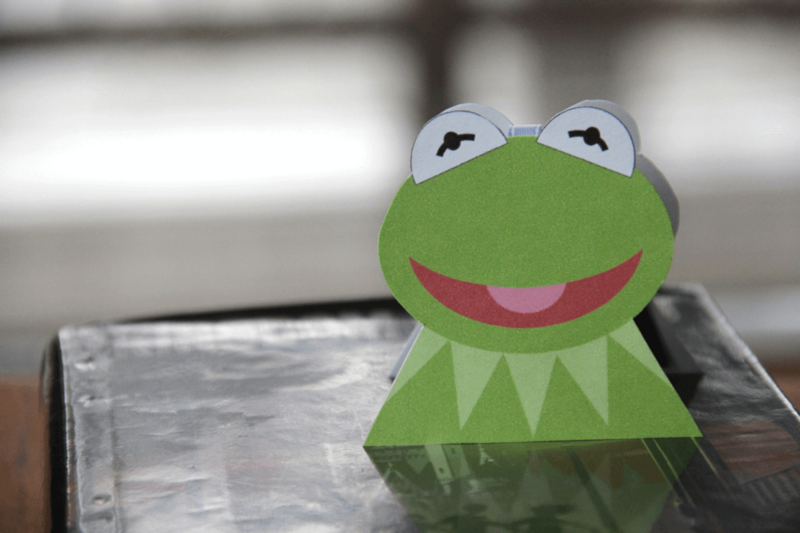 This Kermit the Frog craft will help keep your place and bring a smile to your face every time you see it. 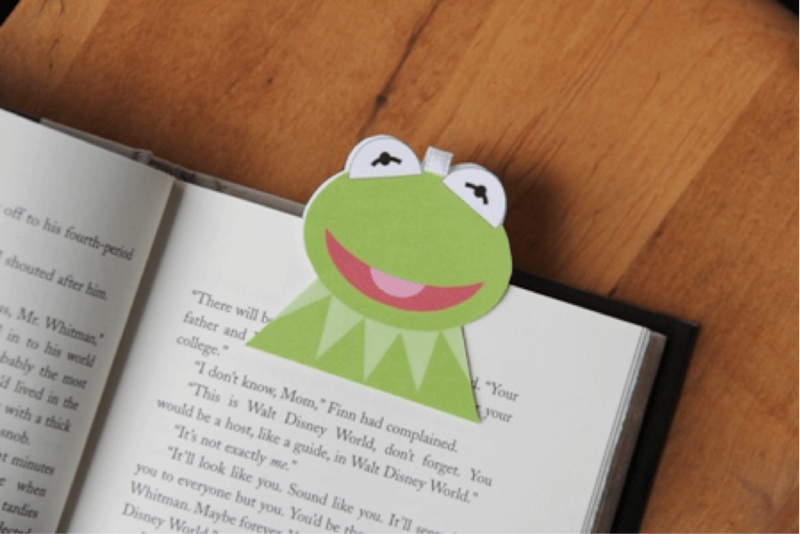 To make this bookmark, you'll need this pattern, a piece of white cardstock, a flat magnet (like a magnetic business card or calendar), a 2 1/2" piece of 1/4" wide ribbon and glue. I used a hot glue gun, but you could also use basic school or craft glue. 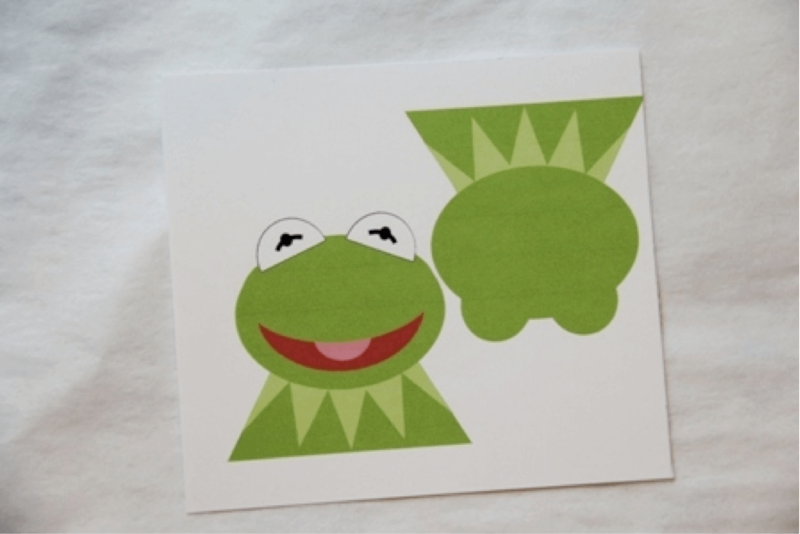 Print Kermit onto the cardstock. Cut out the front and back of his head around the outer edge. Cut the magnet into a shape that will fit within the shoulder area. 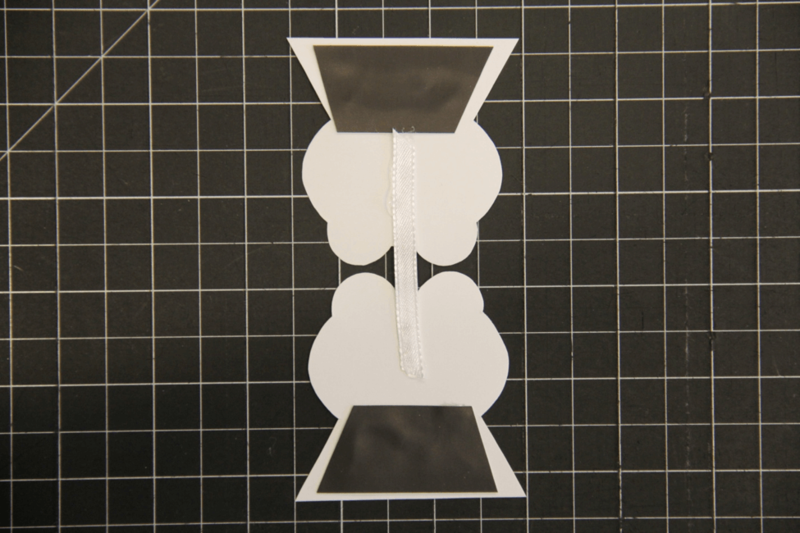 Glue the magnet and ribbon onto the back side of both pieces as shown. Be sure to leave a slight gap between the heads when gluing the ribbon so it will fold over a page comfortably. After the glue is dry, simply place the front and back on opposite sides of a page and let the magnet do its job. 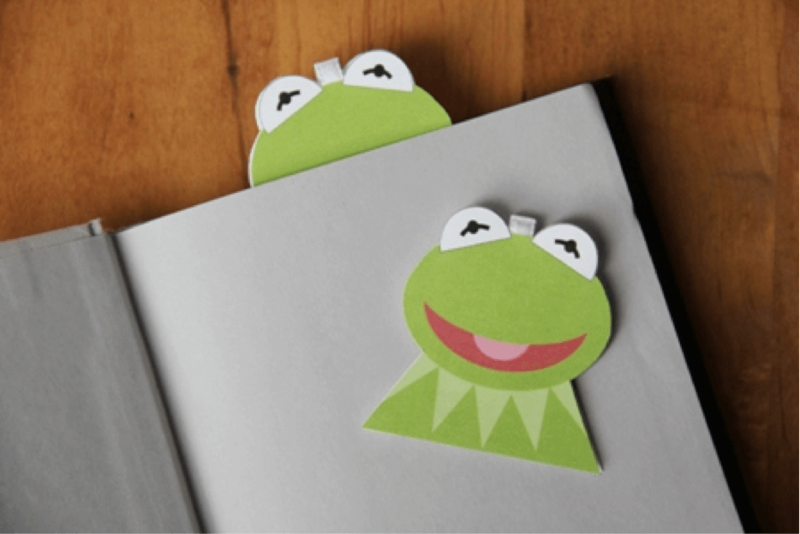 When it's time to put down the book so you can go check out his new movie, Kermit's the guy to help you keep track of where you left off!